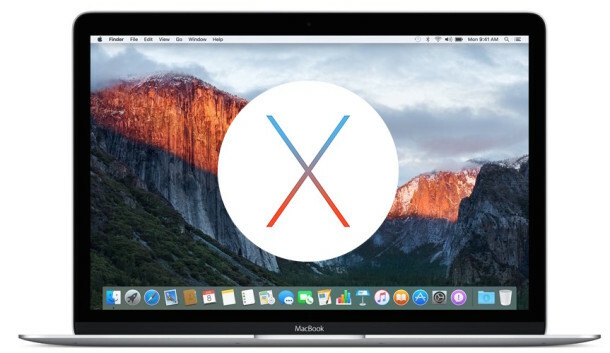 Some Mac users may wish to downgrade from MacOS Sierra Beta and revert back to OS X El Capitan, this is particularly common if you have found things to be less than stable or otherwise problematic and would like to return to a more stable operating system experience – a fairly common scenario for beta testers. When the Mac reboots, it will be running OS X El Capitan and appear just as it was for the matching date from the last El Capitan backup. MacOS Sierra will be removed completely. The only reasonable way to test MacOS Sierra is with a partition, or by installing on another drive. Anything else is asking for trouble! Or, you can create a Virtual Machine of the betaOS and have at it! I use an Envoy Pro mini SSD from OWC as a macOS Sierra boot drive. This allows me to test macOS Sierra without risking anything on my MacBook Pro. I use FileVault, and I’m not interested in partitioning an encrypted volume just to be able to dual boot. I’ve been testing new versions of OS X this way for a few years, and it has always worked well. If it (TM) is backing up frequently e.g. hourly, is there any way of knowing which back up you would choose to restore from. Can a user add comments to a particular back up or can they discover when, to the minute, the OS X upgrade took place. The Time Machine backup shows you the date and time of each backup made to restore to, as well as the Mac OS version. You can open Time Machine and see it. I guess I got a Time Machine backup to go back to OS X EL Capitan. I don’t know why but my MacBook is refusing to update to macOS Beta 2. I am done with buggy and all these crashes! Thank you so much for posting this. I make regular Time Machine backups and always run one prior to an upgrade but this is the first time I do a full restore and your directions worked without a hitch. This is the procedure I followed, and I ended up with a corrupted apple ID login. The problem applies to all users, so it is not tied to my account. I’ve been working with Apple Support 4 days now to get it fixed, no progress. Thank you. Using your time machine restore process worked perfectly for me. MacOS Sierra made my one year old stock-standard 5K Mac (which uses only Apple Apps) exactly like all my Windows PCs, buggy and unreliable … e.g. sleep/wake unusable, mail attachments disappearing (and sometimes reappearing) … no amount of tinkering/NVRAM clearing/web searching resolved any of the issues I had. I purchased the newer Office for mac without Outlook. I had my paid yellow one form 2011. It worked fine until my hard drive went. I had a new hard drive installed and they backed up my old one. Then they installed Sierra and outlook stopped working. I have all my info on there and have not backed up outlook for ages and don’t know where to restore from to try the internet outlook. I should not have to pay to update my yellow outlook just because apple didn’t test sierra properly and there should be a way of recovering all my info off the old outlook that will not open. my magic mouse stopped performing with sierra update. My Logitech is substituting while I try to fix this problem. any suggestions? ran back up before installing, now trying to restore back to el capitan.